Altamira Fine Art Scottsdale is pleased to present our first solo exhibition for Robert McCauley, following a successful two man show in the Spring of 2017. Meet the Artist at the ArtWalk Reception on Thursday, March 15th from 6:30-9pm. 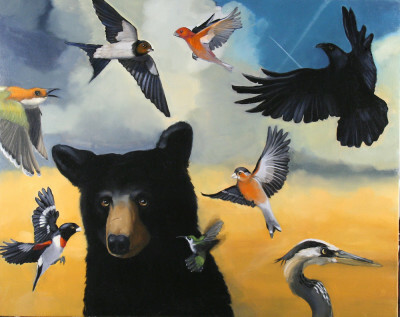 Over a dozen new oil paintings will be featured in the show, including his signature black bears. This is Robert’s first gallery exhibition of 2018, following a major museum show featuring over thirty paintings and assemblage works from the 1990s to the present, at the Bainbridge Island Museum of Art, in Bainbridge Island, WA. McCauley’s main themes revolve around worlds in collision, addressing topics of cultural displacement and destruction, as well as our relationships with nature and the environment. Robert McCauley’s paintings, drawings, installations and mixed media works are rooted in the tradition of 19th century American Romanticism, yet his narratives are contemporary, timely and relevant. 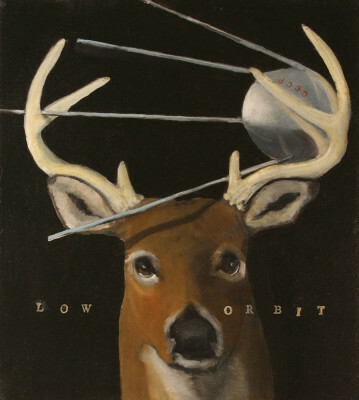 Through the metaphorical juxtaposition of found objects, inscribed texts on frames and ambiguous titles, McCauley addresses a wide variety of contemporary themes and issues, including cultures in collision, environmental ethics, humankind’s impact on nature and the appropriation of nature in art. 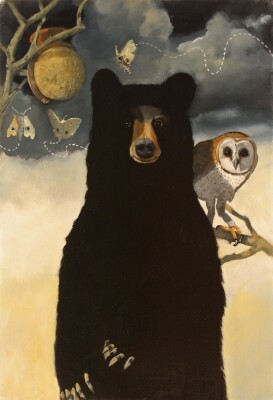 The artist states: "My work, although at this point centers on the American black bear, is not about the bear. It’s equally not about my style of paint handling. Both approaches are the only voice I have for a diatribe on how we’re doing as custodians of this planet." Pre-sales available. Call (480) 949-1256 for more information.